You don't have to pass exams to be a baby, yet you are propelled into a world where you are responsible for teaching GrownUps how to become parents. This book is not written by a Doctor or a Psychiatrist, it comes from the warped mind of someone who was once a baby, grew up to have babies, and now observes others as they learn to be parents. You don't have to pass any exams to become a baby, and yet you are propelled into a world where you are responsible for teaching GrownUps how to become parents. This book is not written by a Doctor or a Psychiatrist, instead it comes from the warped mind of someone that was once a baby who grew up to have some babies and now observes the people around him that make babies as they learn to become parents. 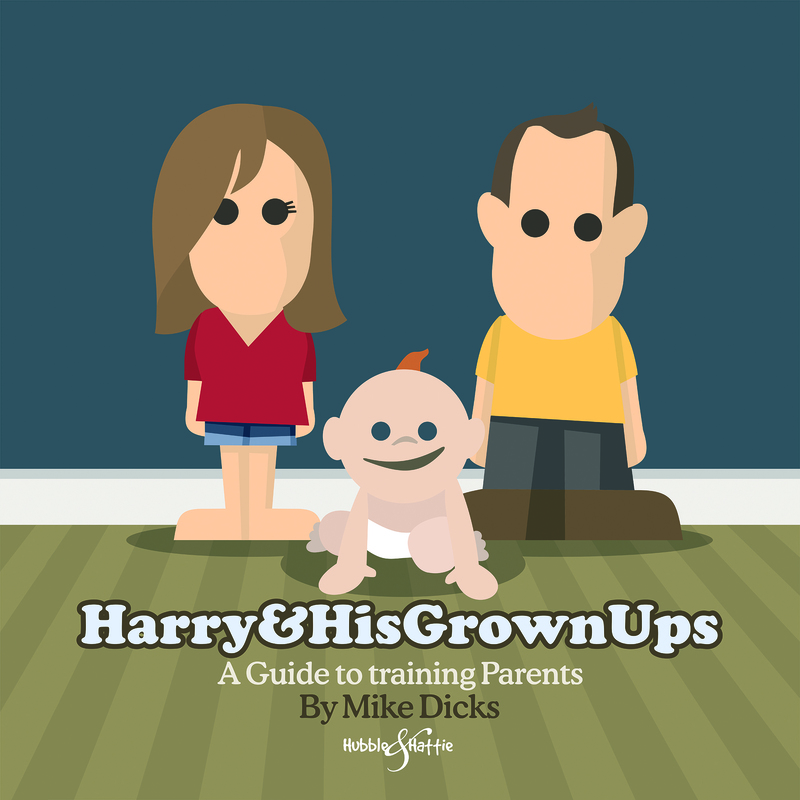 Harry&HisGrownUps should first and foremost, make you giggle, but it should also make you think about the challenges of parenting in a new light. The cute illustrations and simple one-liners mean that this is a book you can read in between cleaning up sick, disposing of nappies or doing the tenth load of washing today.